The start to the Astoria Storm release video mimics that of any major motion picture: background music, landscape pan and slow motion movements of its star protagonists: 2017 World Latte Art Champion (WLAC) Arnon Thitiprasert, 2015 WLAC Champion Caleb Cha, and 2016 World Coffee in Good Spirits Champion Michalis Dimitrakopoulos. These champion baristas from three different walks of life use three different modes of transport to get to their destination: Caleb rides a bike, Arnon walks with his headphones on, and Michalis drives a yellow Fiat. The baristas meet in Trieste, which has been the main Italian trading port for coffee for the past two centuries. They greet each other and fanboy over the Astoria steam machine. In true trailer fashion, it leaves you wanting more. Alberto says the new machine embraces ‘barista attitude’, which is not about presentation and how long your beard is or how many tattoos you have, but about dedication, passion, and mental approach. “[Attitude] is something you have inside, something that you grow up with and that one day becomes truth,” Alberto says. 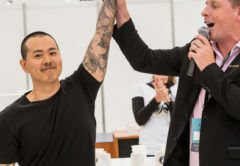 For Michalis, winning the Coffee in Good Spirits Championship became his truth. After many years working as a barista in Greece, he says his attitude is one of respect for the product he works with each day. To provide such control, the Astoria Storm is designed with customised features, including pre-infusion, speed, temperature, and brewing. “All coffee shops are different,” Alberto says. 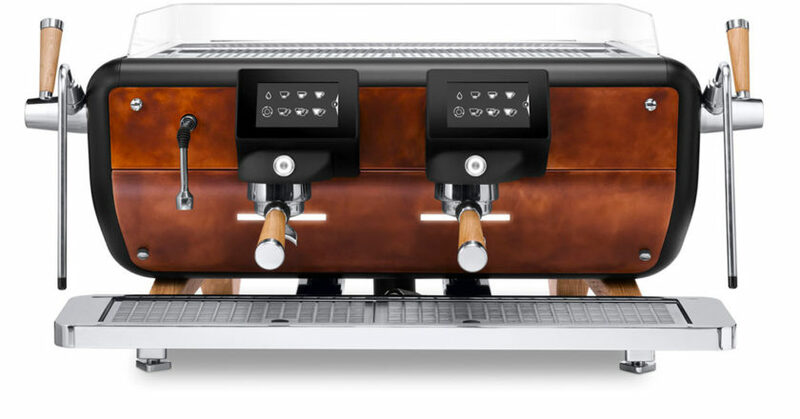 “The espresso machine is the queen of the café, so it is important that it can be customised to match the look and feel of every coffee shop,” Alberto says. One such point of difference is ergonomics. 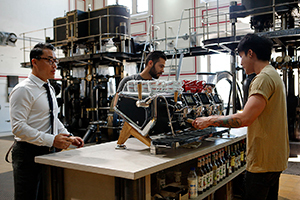 Over a four-year period, Astoria undertook research with baristas, engineers and designers to understand and address the market needs of a competition espresso machine and the result is Astoria Storm. 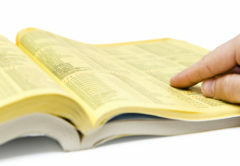 Among its main features is the customisation of brewing. It stores brewing curves that can be independently programmed between groups and individual ones, and sets pre-infusion, extraction speed, and temperature. Baristas can set parameters manually or use the digital functions. The machine can memorise brewing curves, so when a barista uses the same grind and fresh beans, they can guarantee customers an espresso with the same organoleptic properties and consistent output. “This is of great importance not just for the quality of the coffee, but also to provide higher efficiency when more than one grinder is present,” Alberto says. He adds that his favourite feature of the Astoria Storm is the paddle on the Flow Rate Control (FRC) version. “Usually you can’t have the live view of what is happening with your extraction. When you use the Astoria Storm paddle instead on the display you can see the live extraction wave and drive it in the way you prefer to enhance one or another flavour of your coffee. It is like a coffee videogame,” he says. 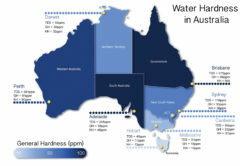 Pre-infusion: it is possible to set the amount and speed of water for pre-infusion in relation to the dose – single or double – or to the specific needs. 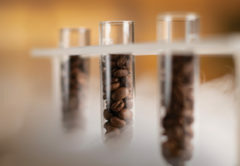 Pre-infusion time: it is possible to program the pre-infusion time in order to enhance specific organoleptic characteristics of the coffee. The flow during brewing also depends on the pre-infusion time. Brewing curve: when you change the values of the brewing curve, you can obtain coffees with different organoleptic properties. Customisation of the end of the brewing curve: it is possible to modify the final part of brewing by changing the speed. Alberto says Astoria’s experience as the World Latte Art Championship Sponsor has given the company useful insights into what concerns high volume coffee shops have regarding latte art. 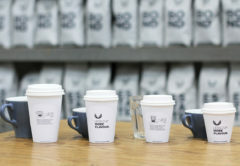 “We analysed the barista difficulties with the existing machines when it comes to [mix texturing] and we focused our energies to create something better for them,” he says. This included a better mix texturing system with dry steam technology. This feature makes milk foaming easier by minimising initial condensation and relying on the minimal presence of water micro-particles during steam release. “This positively affects the milk, which will not differ in taste, but will have a thick and elastic texture,” Alberto says. From the moment the barista activates the anti-scalding touch steam wand that rotates 180°C, performance can be extended even with two open steam wands without any yield loss and with full pressure control. The Storm is also equipped with the Steam Boost option, which is automatically activated by the machine according to the consistent use of steam. Steam Boost increases steam production even further by activating the heating units even during high-volume espresso making and alternating power between service and coffee heating units. In the ESB machine version, all heating units can be activated at the same time to minimise machine recovery time. Storms generally hit towns quickly, cause havoc and leave destruction in their wake. But more than just a machine to produce consistent, quality coffee, Alberto says the Astoria Storm’s design will ensure it has a positive impact on those who come in contact with it. The machine made its debut at Host Milan 2017 and previewed in Australia at the 2018 Melbourne International Coffee Expo on the Coffee Machine Services stand, the Australian distributors for Astoria. Such traits include the fact that many cafés are putting the espresso machine in the centre of the café or in a prominent position that exposes the machine from the front and back. The Astoria Storm design is thanks to Astoria’s collaboration with Adriano Design. Alberto says the company views espresso machines as not just an engineering product, but a ‘design sculpture’. Some of its best features are in the details: filter holders made of treated durmast wood and feet made of polished stainless steel. The machine’s feet are also adjustable and can be lowered or raised to accommodate different heights or environments. In the Astoria Storm release video, 2017 WLAC Champion Arnon, says he needed a machine to accommodate his constant movements and help him look customers in the eyes. “I need a sleek, low machine to help me create contact with my customer and for me, the Astoria Storm is the answer,” he says. The machine also boasts green credentials, with an energy saving of up to 47.6 per cent compared to traditional coffee machines. The Green Line function distributes power only where and when needed to save energy. It automatically puts one or more groups into standby mode when the workload decreases and reverts to full-time mode as warranted. With more than 34,000 YouTube views and counting, the Astoria Storm has well and truly made its mark. We can only wait to see what reviews critics will post, and stay tuned for a sequel.